Everyone loves a success story. It gives us hope and makes us feel that it can happen for us. Please welcome fellow Fit Girl member Angela Russell as she shares her weight loss journey. Like all of us, she has experienced ups and downs with her weight and has finally found the place she wants to be after having children and living a busy life. Thank you, Angela, for sharing your story with us and let it put a fire in our bellies to keep trying. Before my babies, I weighed in the low to mid 130s and considered myself to be in pretty great shape. I regularly did races of all sorts including 10ks and half and full distance marathons. I even did a sprint-distance triathlon before I realized I was pregnant with my son! After my son was born in 2006, I was able to drop most of the weight easily and completed another marathon. But after my daughter's birth in 2008, things weren't so easy. I struggled for awhile flip-flopping around with my weight, trying different things, but not much working. At my worst, I weighed about 162 - that's about 30 pounds more than pre-pregnancy! While that might not sound like a ton of weight, it was for me, since I was used to being thin and fit. In the summer of 2011, I tried the 17 Day Diet and was floored by the results! In about 10 days' time I'd lost 9 pounds and felt incredible. However, as I began to reintroduce foods back into my diet, I struggled keeping the motivation as well as the weight off. In a couple months, most of the weight had come back on. At the end of 2011, I was really discouraged. I weighed myself at 158 at the end of the year. I just felt bloated and unhealthy and I knew I needed to change and I did not need another diet. The New Year brought new resolve to do something and I began just making good choices - doing the things I knew to do. Reducing sugar, reducing eating late at night, working in more healthy food, and drinking more water. I also made a strong effort to workout more. But the end of January, I'd lost about 9 pounds, the same amount I lost in the first few days of the 17 Day Diet, but in a more sensible fashion. In February, I decided to follow a plant-based diet. I was surprised at how easily the weight began to drop off from there! And with minimal effort! I continued this for the months of March and April and in May decided to add animal products back in only occasionally. I am now at 139 pounds and cannot believe I've lost and kept off nearly 20 pounds this year! As I've gotten closer to my ideal weight, it's been tougher to drop many more pounds. There are also times when I've messed up and eaten something I know I shouldn't have, but the key is to remember I'm in it for the long haul. Another thing that's helped is weighing myself about once daily. Keeping an eye on it helps curb things if I see the scale's gone up a couple pounds over the weekend. It keeps me mindful of how far I've come and that I do NOT want to go back! My goal at this point is to drop another 5 pounds and really firm up. Most of all, I want to enjoy good health and energy. I love how eating a mainly plant-based diet has made me feel and hope to stick with it for a long time come. I also want to add that I'm disheartened by how many folks I see pushing this spendy diet product or shake or meal plan - trust me, you do NOT need that! I sure didn't! I'd far rather spend my money on buying whole organic produce than something packaged that comes in the mail or some shake that requires me to mix cow's milk or juice with it. Remember that dieting is big business here in the USA and be wary of marketing tactics that prey on your desire for quick, dramatic results. Instead, work to make lifestyle changes that are sustainable. 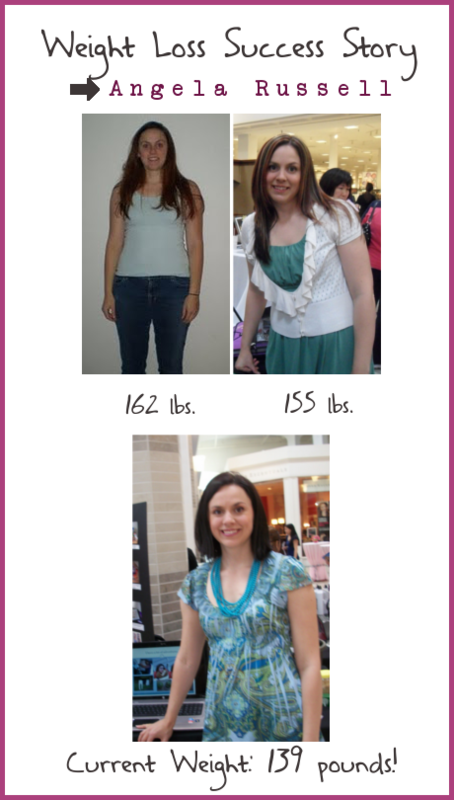 Do you have a weight loss success story you would like to share? Please e-mail them to ruth@thefitgirls.com and I will feature you in a future Fit Girls blog.